We're getting ready for this week's Sunday Night Football game with the next installment of our TODAY Food Loves Football series. Seattle-based chef, Carrie Mashaney, and Pennsylvania native, chef Brian Duffy, are making mouthwatering recipes inspired by their cities. Mashaney is preparing spiced french fries with a zesty dipping sauce and Seattle-style hot dogs with jalapeños and cream cheese for the Seahawks, and Duffy is cooking up tender ribs with a creamy white barbecue sauce and broccoli rabe with veggies and white beans for the Eagles. 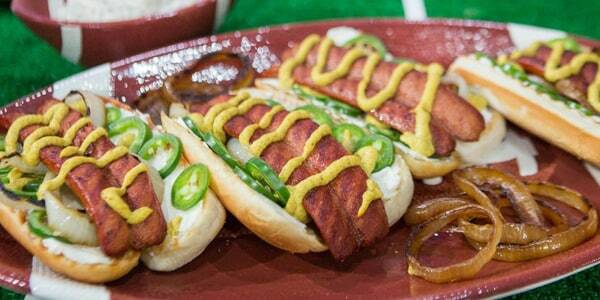 What makes these dogs different is the combo of spicy chilies and cool cream cheese. 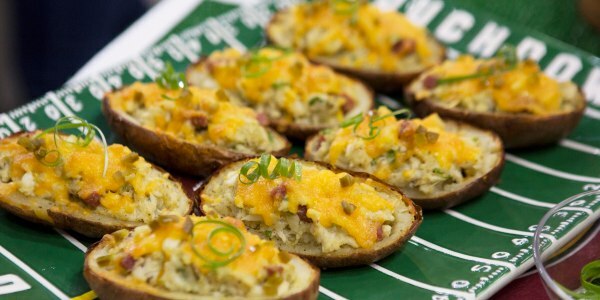 They're like jalapeño poppers and stadium-style hot dogs rolled up into one tasty bite. 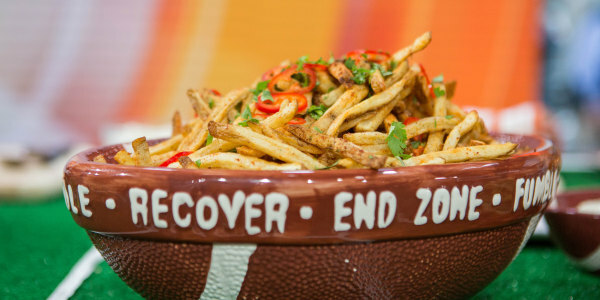 Kick your fries up a notch for game day. Middle Eastern za'atar spice adds an extra level of uniqueness and surprise. White barbecue sauce sets these ribs apart from the pack. 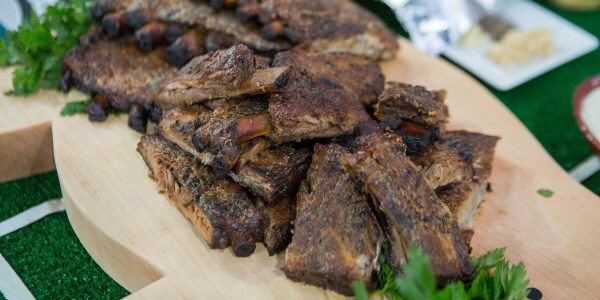 The tangy vinegar, creamy sour cream and hot horseradish perfectly compliment the flavor of the rich, meaty ribs. 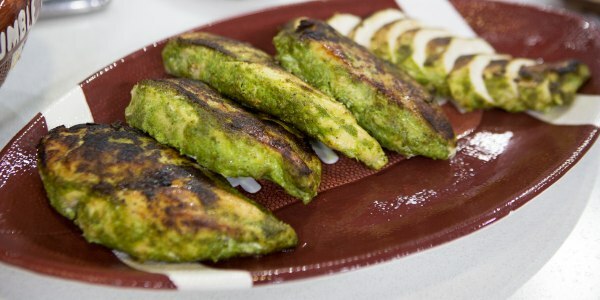 I love to serve this healthy side dish with barbecued meats. 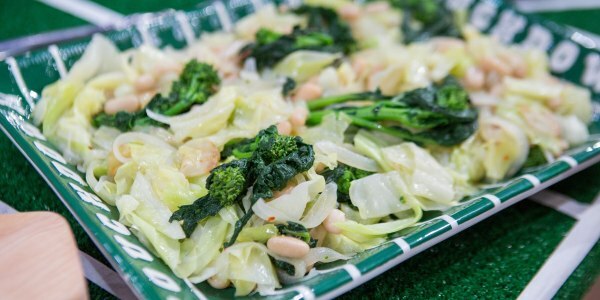 The fresh veggies and hearty white beans are an excellent foil to rich, smoky cuts of beef, pork or chicken.